Technology giant Google has launched its smart speakers Google Home and Home Mini in India. Both the products will be available on e-shopping websites and offline stores. The new Google Home will be available at a cost of Rs 9,999 while Home mini will cost around Rs 4,499. Among various features that these two products will be able to do, things like Google Play Music, Youtube, Netflix, Saavn and Gaana. In this age of technology where we are introduced to a new gadget almost every day, after several series of leaks and rumours, Google on Tuesday has launched Google Home and Home Mini smart speakers in India. For the music enthusiasts, the new range of Google products is now all set to rock your home and even turn it into a smart home. The new Google Home will be available at a cost of Rs 9,999. Google Home mini will cost around Rs 4,499. Among various features that these two products will be able to do, things like Google Play Music, Youtube, Netflix, Saavn and Gaana. 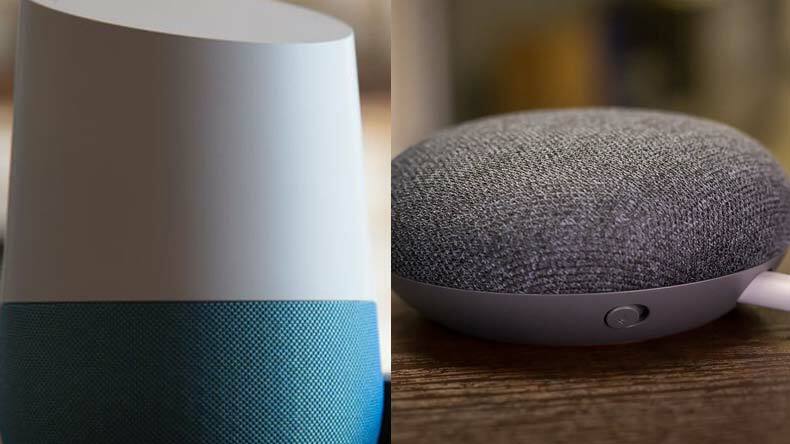 Talking more about these two new products design language, Google Home will be available to Indian customers in White body colour with customizable base. Speaking about the LED effects, it will provide visual feedback when the Home recognises ”Hey Google”. Among some other features and ways to control the gadget, the Google Home will be having touch panel which could be used to control the system. Speaking of Google Home Mini, the product will offer 360 -degree audio with a 40mm driver. The new device will be having 4 LED indicators on the top. Google Home Mini is the compact version of Google Home and will be requiring Android 4.4 KitKat and iOS 9.1 in a smartphone to make it compatible. Google Home Mini will be available in three colours which will be Chalk, Charcoal and Coral. The new device will also allow users to swap the soft fabric cover. About the compatibility, both the new Google products will be responding to voice commands which will be powered by Google Assistant. Apart from all these features, Google has also brought another feature called ‘Voice Match’ to identify different voices and respond to the users query. The new devices are exclusively available on Flipkart. People can also locate these products in offline stores too.